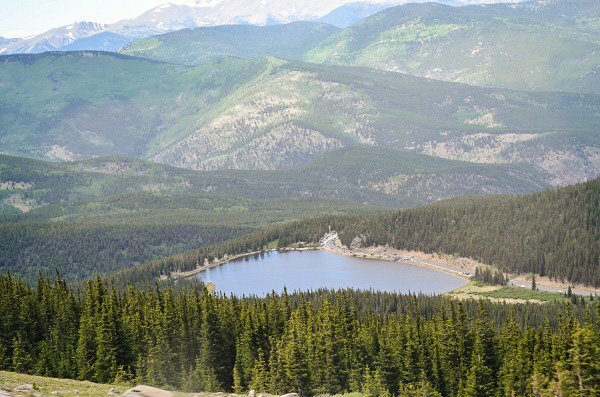 If you enjoy the outdoors, Colorado has a lot to offer in the form of beautiful mountain ranges and stunning views. I’ve loved mountains since I was a little girl. I remember looking up at the towering hills around me in Cuba and asking my mom why we weren’t going up there. She would always tell me we couldn’t; it was farther than it looked. Being the insolent child I’ve always been, I didn’t believe her, and I was determined to prove her wrong. When I went to Colorado, I finally did. Because I may not be able to mountain-climb, but I can drive. 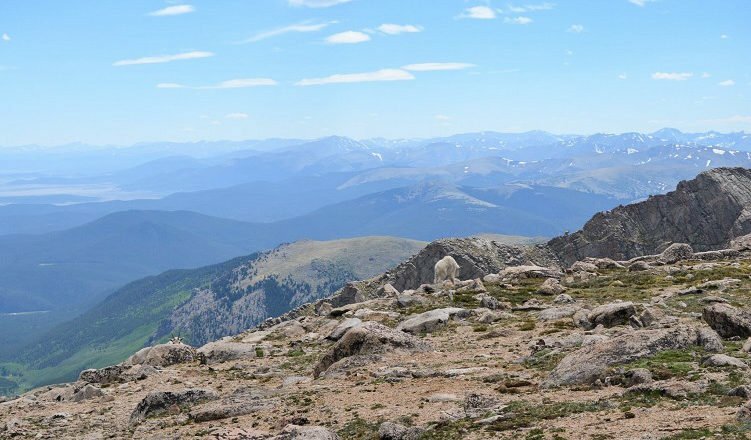 And Mount Evans has the distinction of being the highest paved road in North America, taking you to the very top of one of the Rocky Mountain’s 14,000 foot peaks. 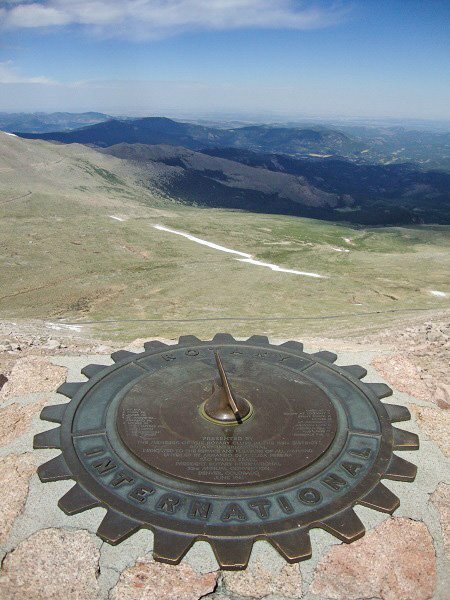 Mount Evans is located less than 2 hours outside of Denver. To access the stunning 15-mile drive that takes you up to the mountain, you have to pay a $10 fee for your car which gives you access to the road for three days. The road is open only a couple of months a year from Memorial Day to Labor day, when it’s not covered in snow. But trust me, at 14,000 feet, it’s winter all year round. 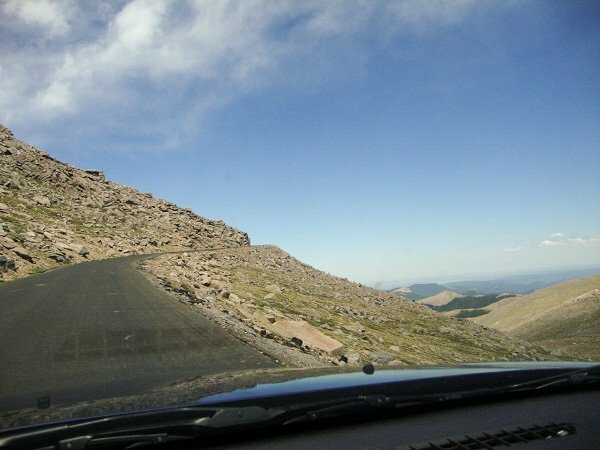 The drive up to Mount Evans is one of the most stunning and terrifying things you will ever experience. There are no guardrails on the winding path to the peak, and you have to share the narrow road with cars going in the other direction. This is not a place to see how fast your rental car can go. Drive carefully and enjoy the view of the precipice to your left as you ascend to the top. The cool thing about Mount Evans is that the peak is not the only attraction. There are picnic areas along the way to the top where you can park and enjoy the view/ The first is Echo Lake, which is just past the entrance to the road. As you continue to ascend, you’ll pass the sub-alpine forest and make your way into the alpine tundra, where you’ll see trees that have survived the cold for hundreds of years.When you’re almost at the top, you’ll come to Summit Lake Park, which is surrounded by the peaks of Mount Evans and nearby Mount Spalding. 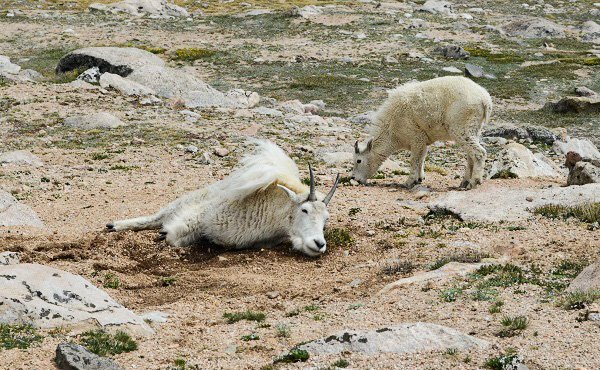 It’s definitely worth stopping on the way up to enjoy the alpine wildlife, like the big horn sheep, elk, and my favorites: the mountain goats. Your car can only take you so far. When you reach the summit at an altitude of 14,130 feet, you’ll have to park and hike the rest of the way up to the very top of the mountain. The walk is only about a quarter of a mile, but it is very steep and because of the altitude, you may get sick, so go slowly. 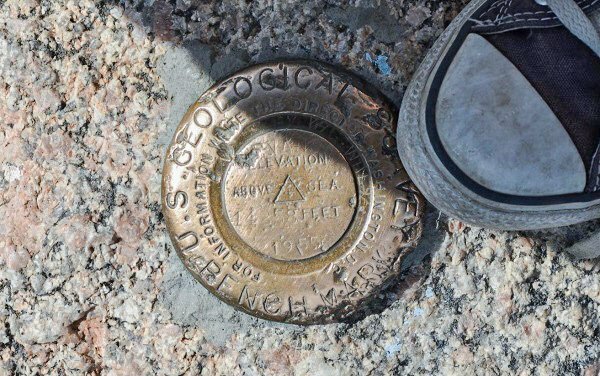 Once you’ve reached the top, you’ll see a small marker certifying that you’re at 14,258 feet, the peak of Mount Evans. 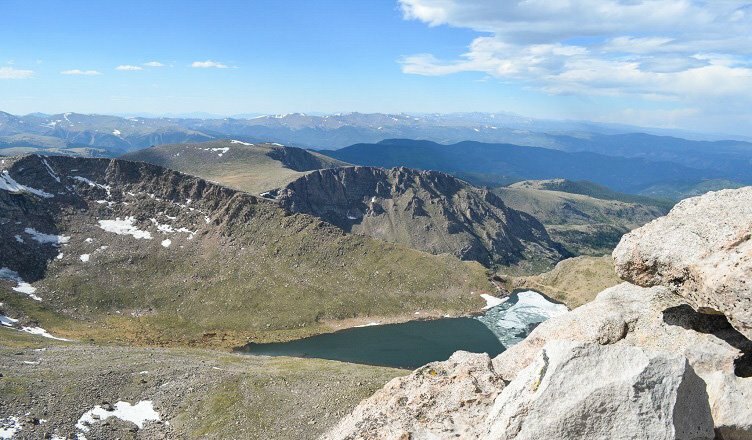 Enjoy the view of Colorado sprawled beneath you and the ridges of the Rocky Mountains towering around you. You earned it. And when you’re sitting on top of the world, you’ll remember why you should never let anyone tell you you can’t.